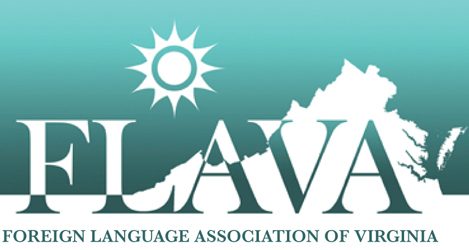 Each year, FLAVA invites World Language educators to share their expertise regarding language instruction. The sessions are held at Washington and Lee University in Lexington, VA and broadcast live to dozens of locations across the Commonwealth, webinar-style. These workshops are free and open to FLAVA members and non-members. They are usually held on Thursdays from 4pm to 6pm and happen about every other month. Take a look at the current workshop sites to find the one nearest you and then register for any of the sessions you’d like to attend. Learn how to incorporate the arts in your language teaching. Be it painting, music, or poetry, art can be a fun and memorable tool when learning languages. From quick tips to full activities, you will discover how easy it can be to add the arts, even if you are not an artist yourself. Are you looking for ways to promote creativity and student voice in the world language classroom? In this workshop, participants will explore various ways that students can share their understanding of the content in creative ways using technology. Participants will leave this workshop with ideas for both spoken and written communication in the target language for all levels. Bring a device and get ready to create and to share your voice. Presenter: Heidi Trude is a French teacher at Skyline High School in Front Royal, Virginia. She has eleven years of experience teaching every level of French from French I through French V Honors. She created an international partnership between her school and Lycée-Bazin in Charleville-Mézières, France, to engage her students with the French language and culture. Furthermore, she possesses multiple educational technology certifications and she is a master at integrating technology meaningfully into the foreign language curriculum. She also provides technology training for the faculty at her school and she presents her innovative ideas at professional conferences such as the Foreign Language Association of Virginia (FLAVA) and the Southern Conference on Language Teaching (SCOLT). Heidi serves as the secretary and communications chair of FLAVA and is a member of the executive board of the American Association of Teachers of French (AATF) Virginia chapter. Heidi is the 2017 Virginia World Language Teacher of the Year, as well as the 2018 SCOLT World Language Teacher of the Year. You can connect with Heidi on Twitter at @htrude07 and on her blog www.techietrude.blogspot.com. Amplify student engagement & motivation, increase student responsibility & independence and achieve higher learning outcomes via inclusion of virtual instruction components in the everyday classroom experience. The presenter will focus on highlighting the benefits of utilizing strategies & tools from virtual instruction in the brick & mortar classroom as well as the importance of bringing the best practices from the face to face classroom into the world of virtual instruction. The best from both worlds. Presenter: Leah Devine is an online Spanish teacher with the West Virginia Virtual School. In a blended delivery setting, Devine supports students in developing second language proficiency. Devine is the 2017-2018 WV World Language Teacher of the Year, secretary of WVFLTA, and immediate-past-president of WV- AATSP. In her thirteenth year of teaching, Devine teaches in eight middle schools in five counties: Western Greenbrier, DuPont, East Bank, Stonewall, Mountain View, Peterstown, Pickens, and Summers MS. Devine earned her bachelor’s at Berea College and her masters in Instructional Design and Technology at WVU. Beyond the classroom, she directs Spanish immersion day camps in Thomas & Elkins (2016-2017), helped launch the statewide immersion camps (2012-2014), and supports FISEDI coordination. Her goal is to reestablish a statewide Spanish immersion camp in 2020. She loves camping, traveling, cooking, and spending time outdoors with her family. This session will focus on how to utilize language learning portfolios to unlock the reflective power of learners. Specifically, we will review the NCSSFL (National Council of State Supervisors for Languages) Reflective Cycle and research related to motivation, reflection, and academic growth. We will also provide a brief overview of how Virginia’s LinguaFolio Online can be utilized to realize these benefits and practical approaches to classroom implementation of the tool. Presenter: Stephanie Knight holds an M.A. in Latin American studies from the University of New Mexico. She has published and presented nationally on best practices for planning, instruction, professional collaboration, and the intentional incorporation of digital tools in the world language classroom. At CASLS, Stephanie develops learner-centered curricula and pedagogical supports related to LinguaFolio Online and other digital tools that can promote increased pragmatic competence and social awareness in language learners. Before joining CASLS in 2015, Stephanie taught all levels of Spanish to students in grades 5-16 and served as International Baccalaureate Diploma Programme Coordinator at a high school in Nashville, Tennessee.